Rolled on by the Houston Food Park for dinner tonight and was immediately greeted with a new truck I've never even heard of. No twitter for some reason. Other than knowing ceviche is one of the classics of Peruvian cuisine I just don't know much about it. None of the names on the menu sound familiar. All of it looked good though. 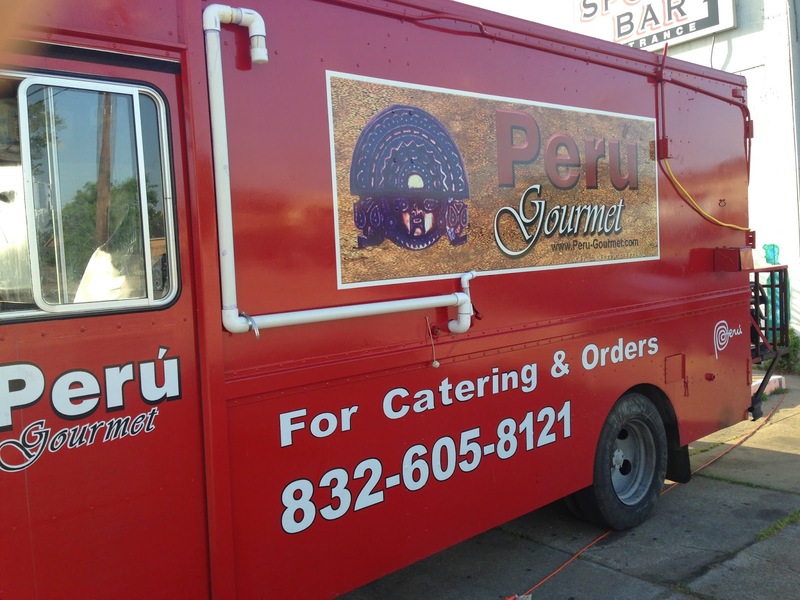 I can tell you after trying Peru Gourmet, this is going to be the truck I'm talking about right now. 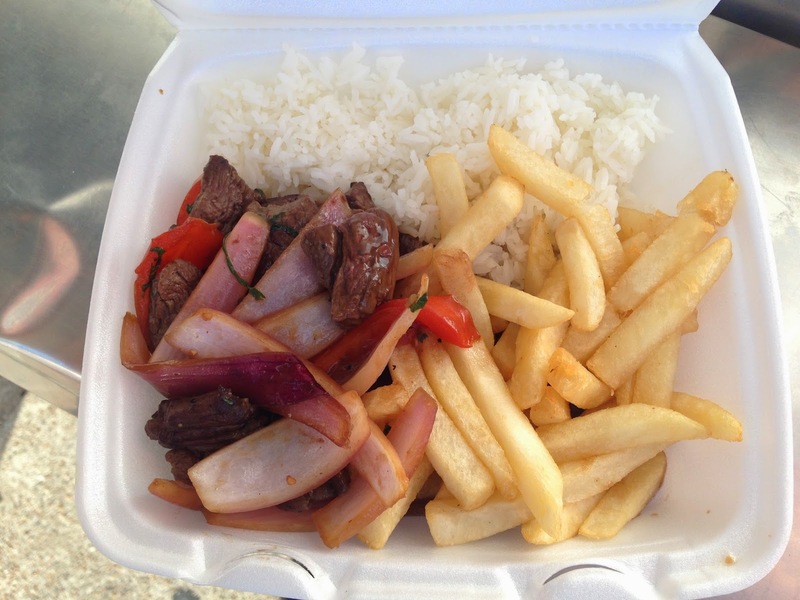 Lomo saltado is a classic Peruvian dish from the Chinese cuisine of Peru. This seems to be a very classic version, maybe even amped up a bit with higher end beef. Really tender beef tenderloin sauteed with red onions and red peppers in a red wine sauce. Served with white rice and French fries. The fries are just your average thick food service fries. but cooked well and it actually works here because the soak up that great sauce. The rice is a little bit sticky short grain rice and is perfect with this dish, The rice sticks together and works to soak up sauce and adhere to the the food. The beef just couldn't be more tender and the peppers and onions were perfectly cooked. Yes this is from Latin America, but no its not spicy, this is a very savory and rich sauce with this. 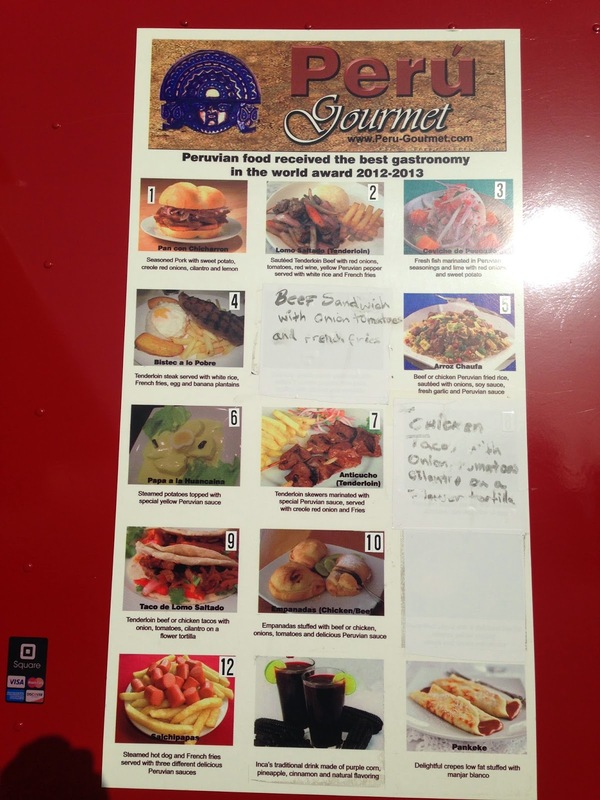 Synopsis: I can't wait to try more of from this truck!